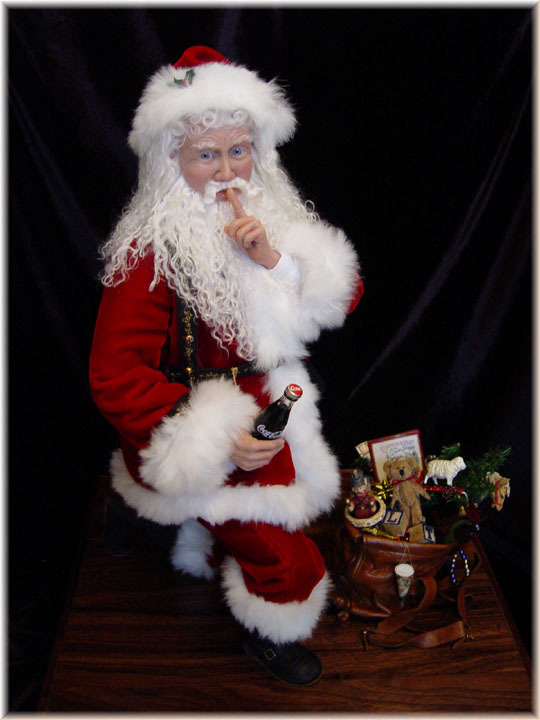 This Santa was commissioned and created in 2003. 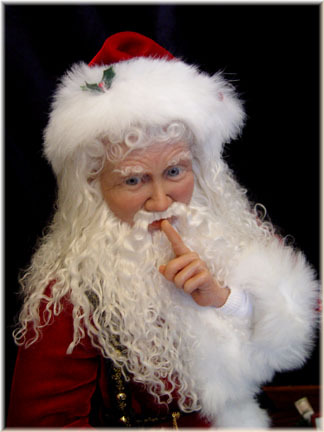 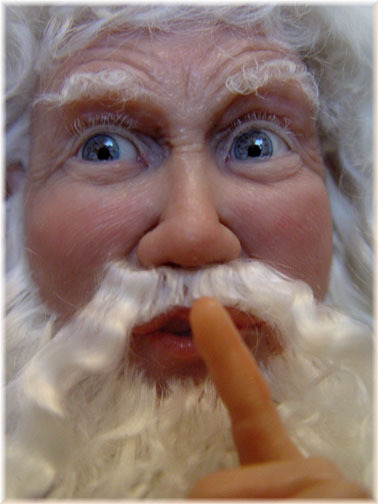 Santa was sculpted using ProSculpt (head/hands). 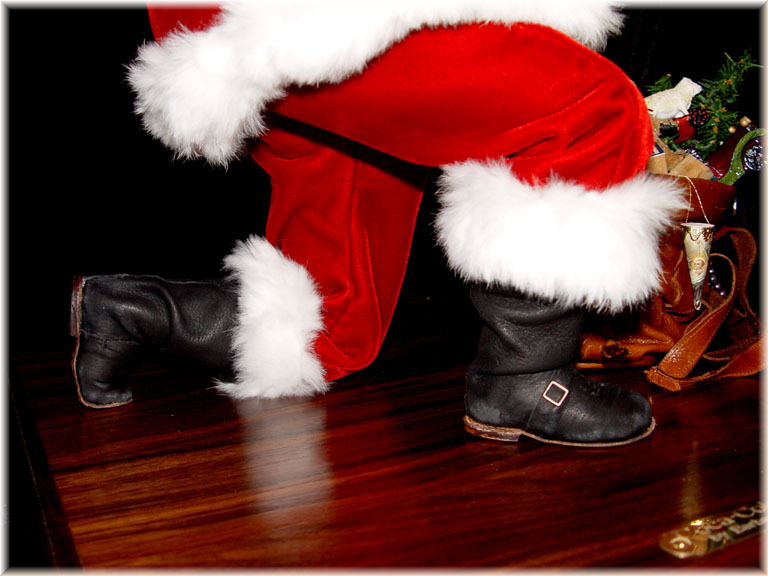 He wears a red velvet fur-trimmed outfit, and leather hand-made boots. 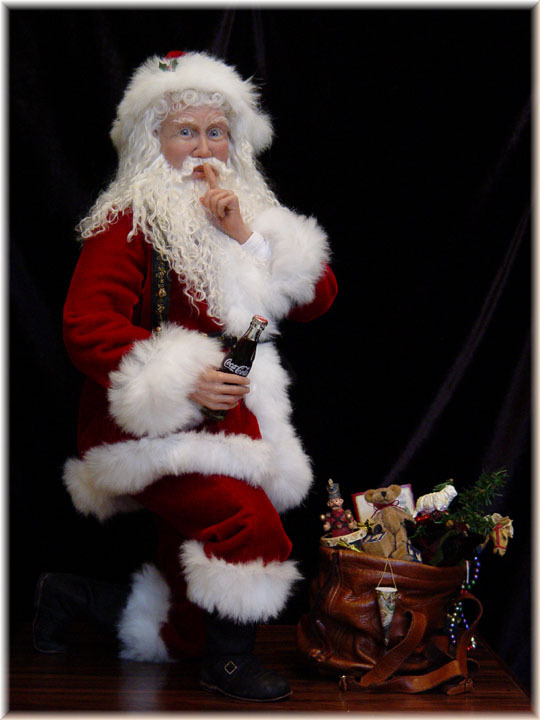 Santa's leather bag is filled with toys that Holly picked out at Barbara's house, and include blocks that spell out "RLT" for her son (Richard Lee Thompson). 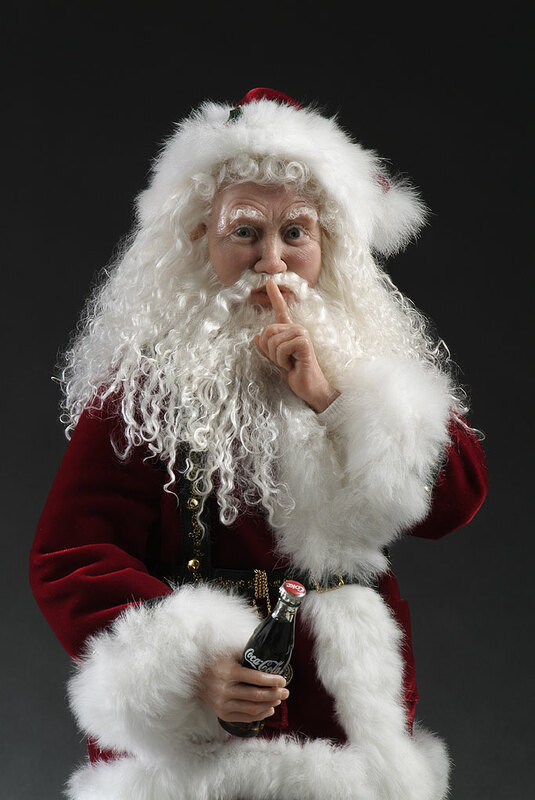 The Coke bottle (with real liquid) can be removed from Santa's hand. 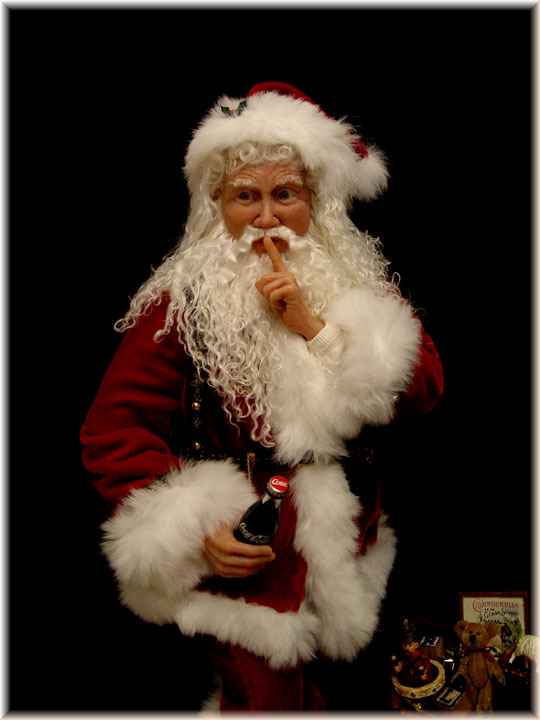 A gold plaque reads "Coca-Cola Santa by Barbara E. VanNoy", and the base is a music box that plays, "Have Yourself a Merry Little Christmas". 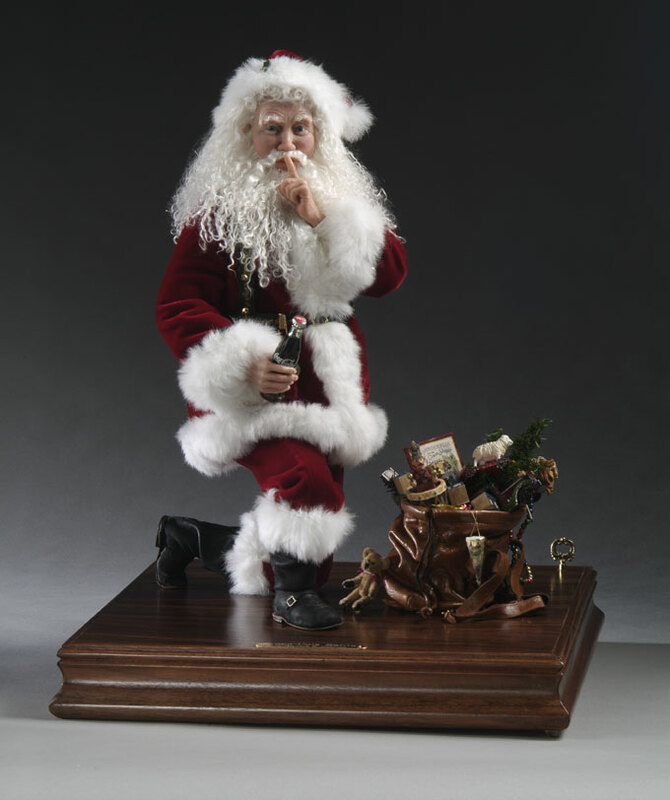 Santa and the leather bag are removable from the base (they slip onto pegs attached to the base). 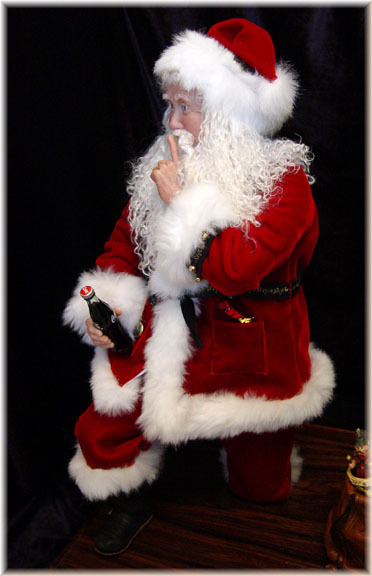 Santa even wears socks with little straps (that aren't photographed here), and the inside of his coat is lined in silky fabric. 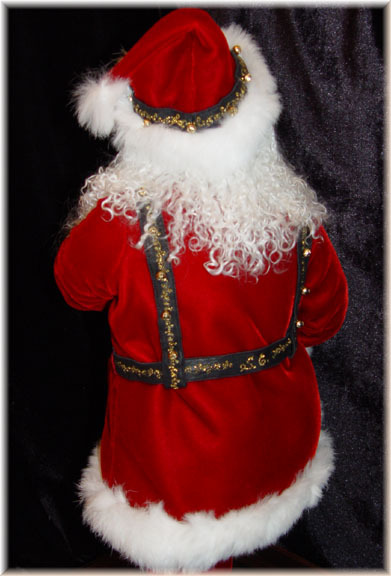 His coat and hat are accented with leather straps adorned with gold trim and little bells. 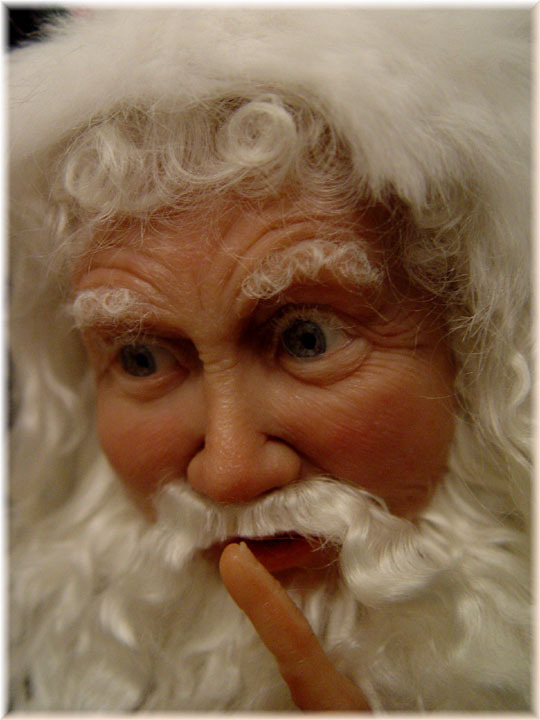 Santa has a pocket watch that hangs from his waist, and his pockets are filled with little candies. 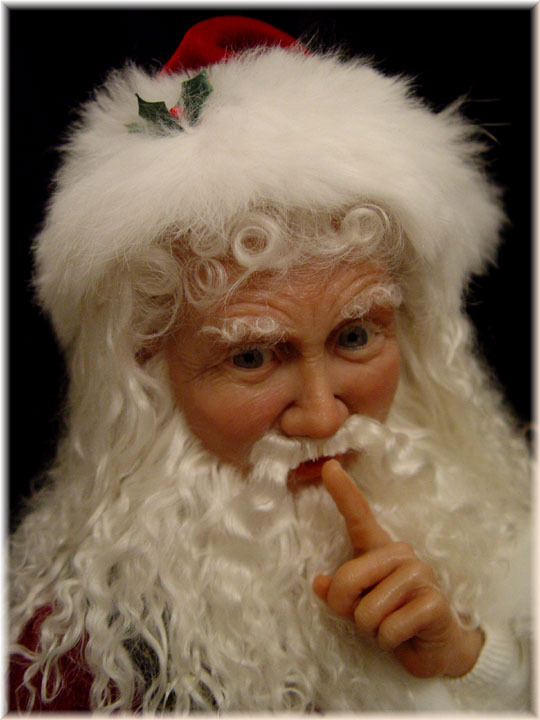 His hat is adorned with a little piece of Holly in the fur! 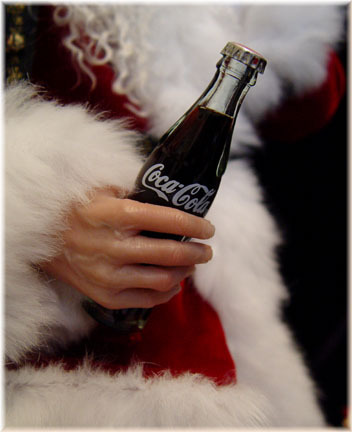 Coca-Cola held by perfect hand! 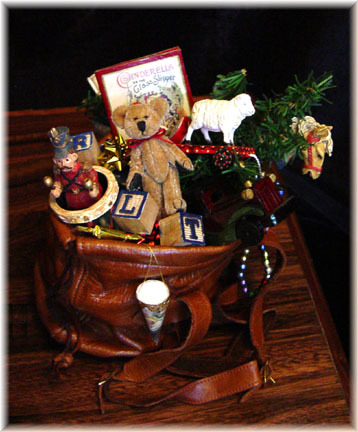 Leather strapped bag full of toys... notice "RLT" blocks!